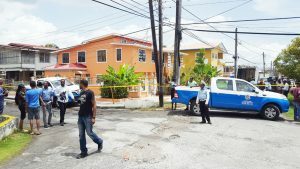 Deonarine Liliah, a 61-year-old Pandit and businessman, and his 28-year old-son Gopaul Liliah were found dead yesterday in their lot 25 Craig Street, Campbellville home with stab wounds about their bodies, after not being seen since Saturday. 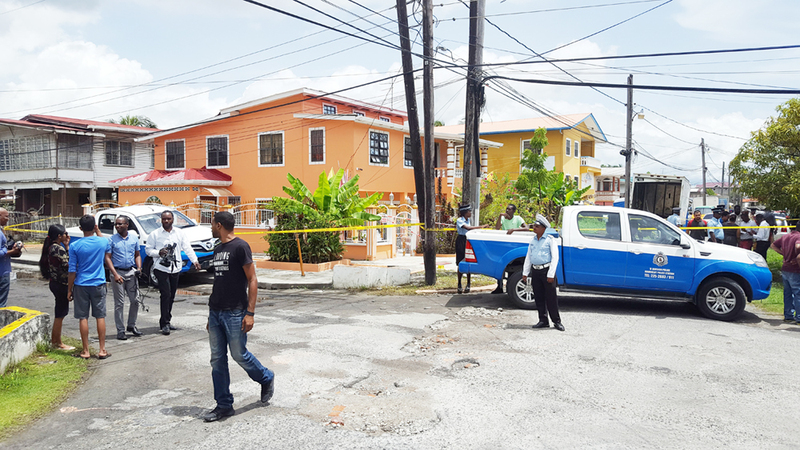 The father and son were discovered after Leewattie Ganpat, a tenant who lives downstairs, made a report at the Kitty Police Station after not seeing the duo since Saturday last. Ganpat claims having seen her landlord and his son on Saturday around 06:00hrs in the yard, where they spoke briefly. Ganpat said later that night, around 21:00hrs, while using the WiFi that she shares with the Liliahs, she heard some walking upstairs, after which the WiFi went off, and she heard more walking – that was the last of the movements coming from the flat above. Ganpat who is a Home Aid worker told police that, she was looking out for her landlord to tell him that the WiFi had gone off, but decided to leave it until the next day. On Sunday when Ganpat looked out for the elderly Liliah, to tell him about the WIFI problem she did not see him, she took it for nothing since on Sundays she would not see much of him normally. This publication spoke to a neighbour who lives opposite the Liliahs. He claimed that he had just returned to Guyana, and did see his neighbours on Saturday, but was surprised at what he learnt yesterday, since the Liliahs were know to him for a number of years. The police received a report from Ganpat yesterday around 09:30hrs, after she became worried about her landlord and his son. She was then accompanied to the residence by Corporal Singh and other ranks. When the police ranks arrived at the home they ranks found the back door ajar. Upon entering the house they discovered the body of Gopaul Liliah lying face down on the floor in a pool of blood, with a red jersey wrapped around the head, and clad in a grey jersey and a grey pair of boxer briefs. Multiple stab wounds were visible. Deonarine Liliah was found lying on his back in the living room. He was clad in white long pants and his face was covered with a multi-coloured top. Multiple stab wounds were also seen on his body. The scene was processed by Sergeant Mercurius and ranks from the crime scene unit. The entire building was checked, but no sign of forced entry was observed. CCTV recordings were uplifted from nearby cameras, which revealed that an unidentified male was seen jumping the Western fence and entering the home, through the Northern front door and exiting by the said means with two bulky bags and a bucket. The bodies were identified by the deceased men’s brother and uncle Jairam Liliah. Family members, who were alerted by the tenant about what had transpired, were adamant about the police not letting them into the house to see what was going on while they (police) were in the house doing their investigation. But when the brother was asked to identify the bodies, he was barely able to contain himself, since the bodies were bloated and carried a high scent, due to the level of decomposition that the bodies were in. The police have since arrested a male suspect, who is assisting with the investigation.